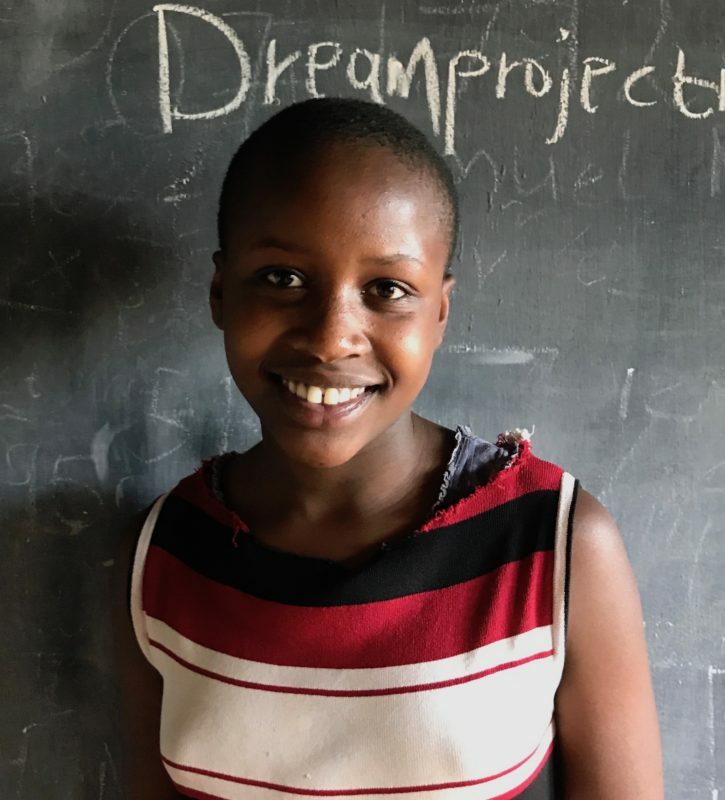 Wilter is the oldest of three sisters, and recently graduated top of her class from Lekuruki Primary School at Dream Children’s Home. Wilter and her sisters came to live at Dream when their mother realized that she could not give them a stable home life on her meager salary. Their mother has been working odd jobs to send enough money to the home to support her children, and even though she sometimes comes up short, Wilter knows she is doing her best. Wilter has devoted herself to her studies and sisters while they live at Dream Children’s Home. “My name is Wilter, and I attend Tumutumu Girls High School. I scored 389 marks in my KCPE examination. I was able to earn these marks through my own dedication and hard work, and I would like to thank my teachers at Lekuruki and Dream for supporting me. I am so excited to be in high school. It is a lot of fun, but at the same time, comes with a lot more responsibility. Here, a good routine is essential; you have to be at the right place at the right time. However, I have adapted to the new environment well and have made many friends who I love spending time with. I am so happy that I have made this positive step in my life. I am studying eleven subjects this term. My best subjects are English, Kiswahili, History, Government and Geography. Outside of class, I enjoy playing basketball and volleyball with my friends. We also like to study together in the evenings. In the future, I would like to attend The University of Nairobi and study medicine. I would like to help the sick in the community and this has really driven me to work hard to make this realistic. If I was not sponsored, my future would be very unclear, and my dream of becoming a doctor would be unrealistic and unachievable.